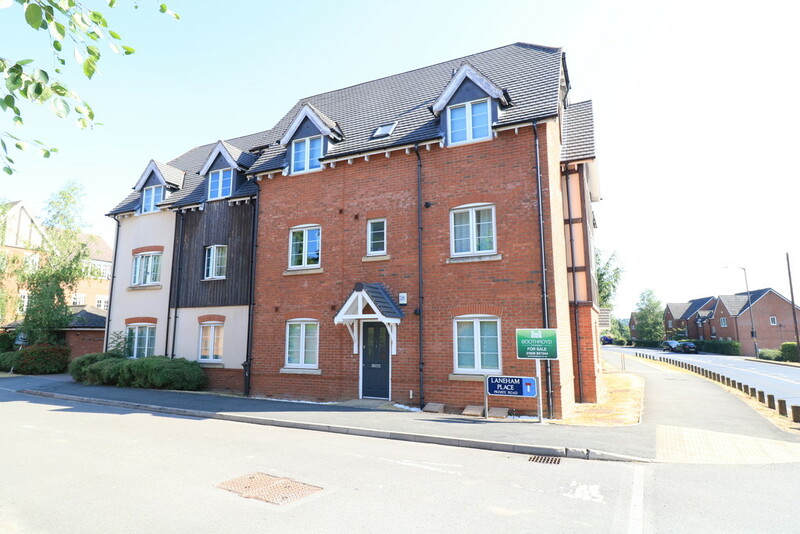 THE PROPERTY An impressive two-bedroom ground floor apartment located within this well regarded development on the fringes of Kenilworth. 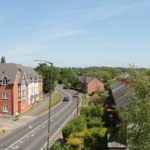 Laneham Place is ideally situated just two minutes from Westwood Business Park, Warwick Science Park and the World-renowned Warwick University. 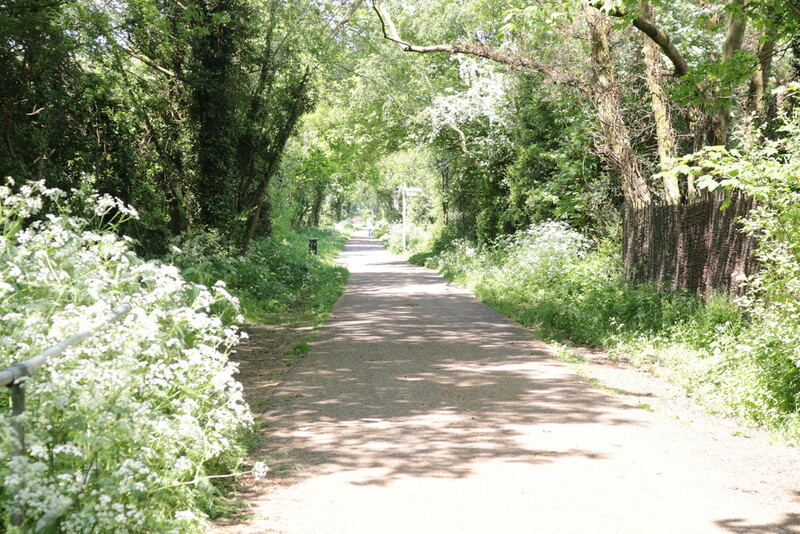 The Greenway cycle path is adjacent to the property and runs directly onto campus. 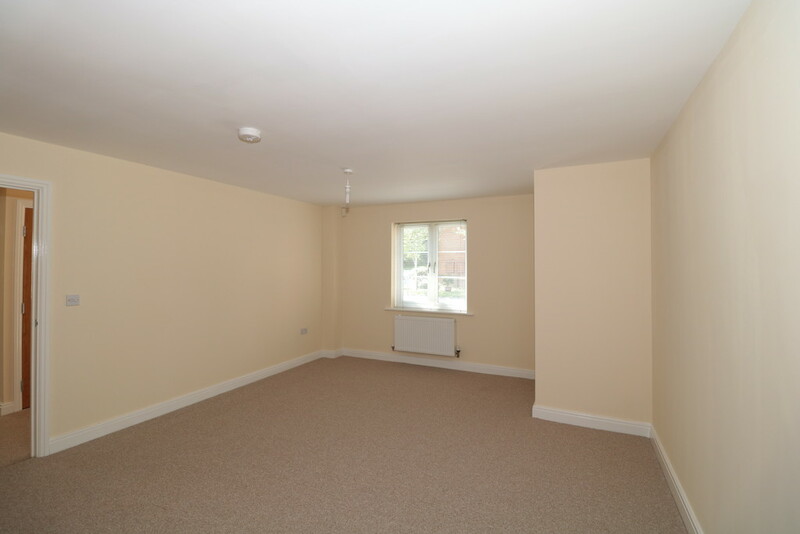 The modern apartment has been completely recarpetted and redecorated throughout and benefits by having it's own front door with canopied porch leading to a reception hallway with all principal rooms off. 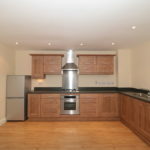 The lounge is open plan to the fully fitted kitchen with built in washer/dryer, upright fridge freezer and an electric oven set beneath a gas hob and extractor canopy. 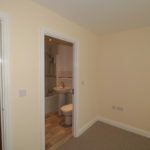 There are two double bedrooms and a Jack and Jill bathroom off the master bedroom. 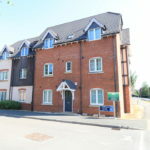 Laneham Place is conveniently situated on the regular bus routes to Kenilworth town centre and Coventry station. 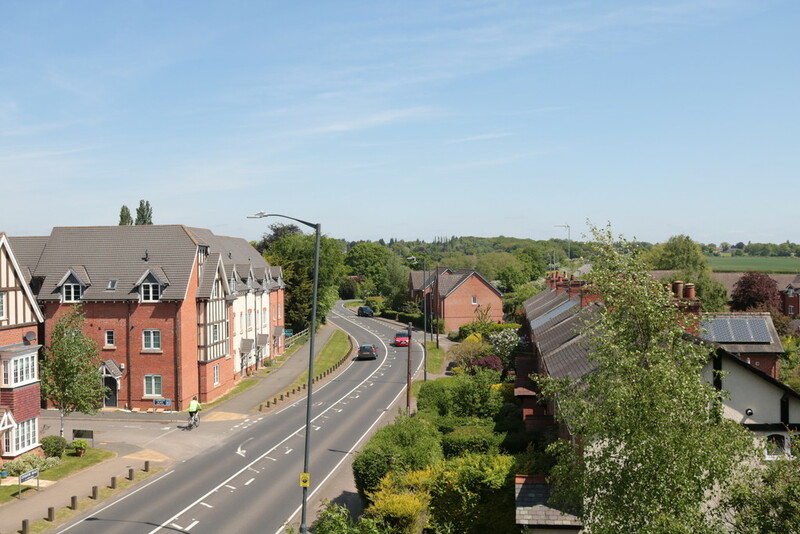 The property is offered with vacant possession and no upward chain, the property is within a quarter of a mile of the proposed HS2 rail line. ENTRANCE With a canopied porch and composite door into the entrance hallway. 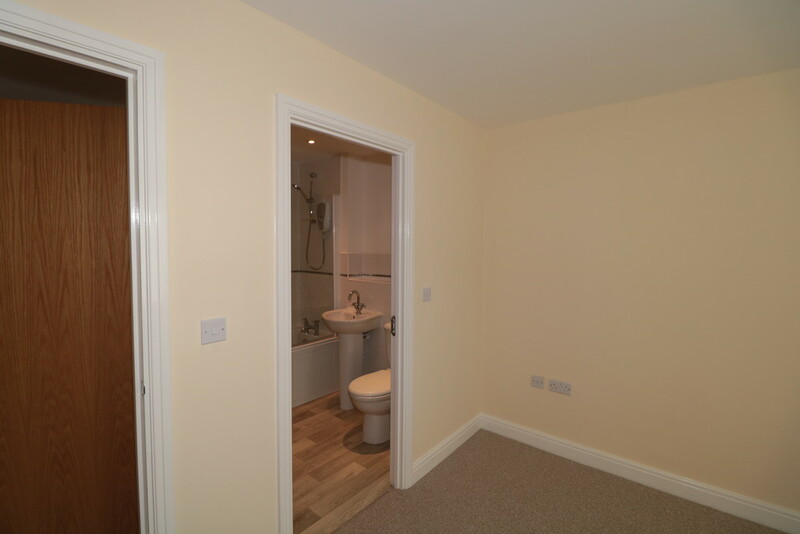 ENTRANCE HALLWAY With a built in airing cupboard housing the gas combination boiler. Further coats cupboard, alarm panel and doors off to. 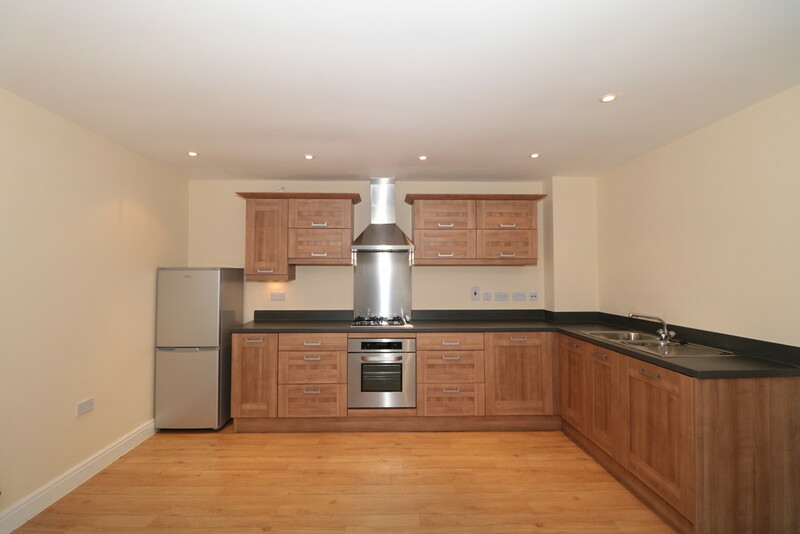 FITTED KITCHEN Fitted with a range of modern wood effect units to both wall and base. The base units have a roll topped worksurface with matching upstands over with an inset stainless steel single drainer sink unit with mixer tap over. Integrated washer/dryer and a built in electric oven with gas hob and set beneath a brushed steel splashback and extractor canopy. 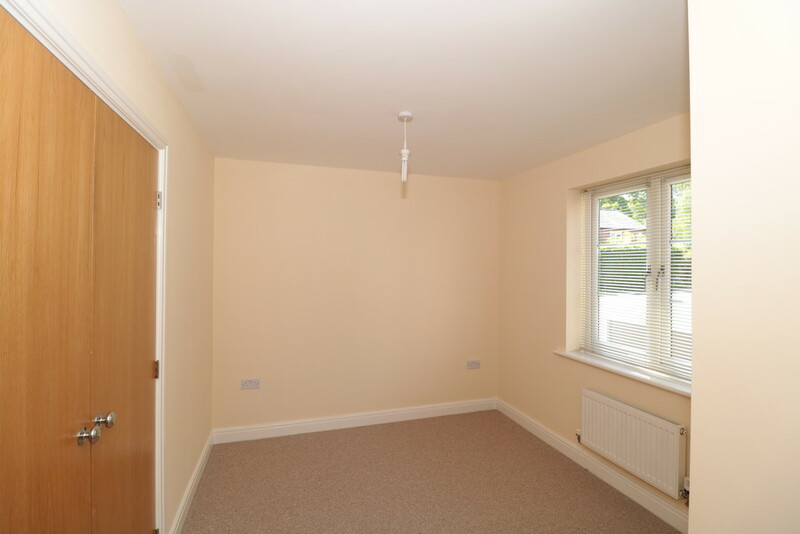 The wall units have pelmet lighting beneath. The kitchen has ceiling downlighters. 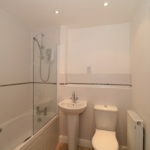 JACK AND JILL BATHROOM 6' 3" x 6' 7" (1.92m x 2.03m) Fitted with a white suite that comprises a panelled bath with electric shower over, pedestal wash hand basin and a close coupled wc. Complimentary tiling to splash backs, vinyl flooring and a radiator. BEDROOM TWO 8' 10" x 11' 10" (2.70m x 3.63m) Double glazed window to the fore with a radiator beneath and double built in wardrobe. ALLOCATED PARKING There is one defined parking bay for the apartment denoted with a number 2. 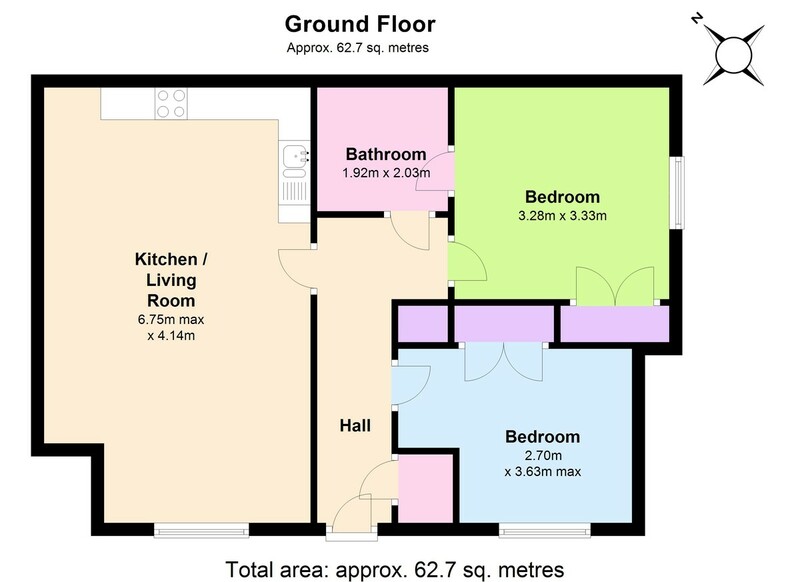 SPECIAL NOTE This apartment is located within ½ of the proposed HS2 rail link. Please contact the office for more detail. 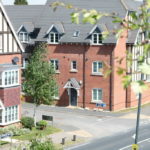 LEASEHOLD INFORMATION The property is held on a 125 year lease with approximately 115 remaining. 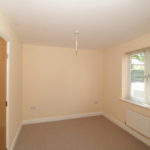 The ground rent is £250 per annum and maintenance charge of 944.26 per annum. 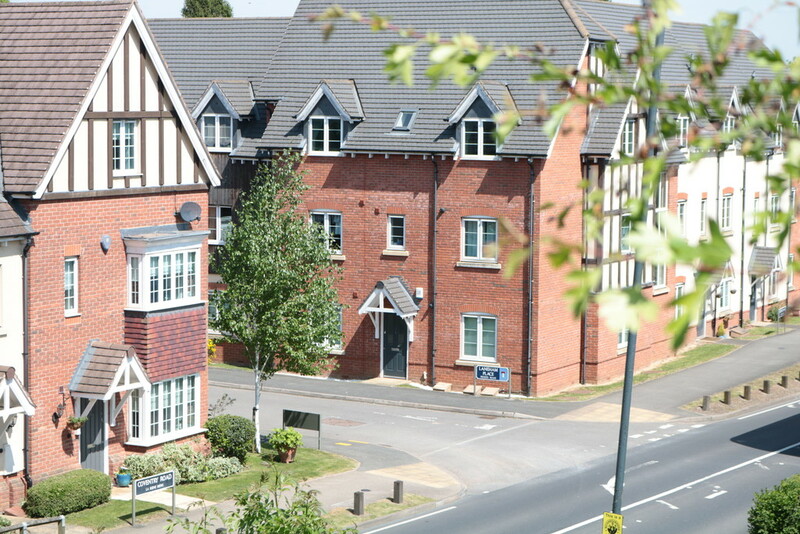 Offered with no upward chain this property is ideally located for Warwick University. 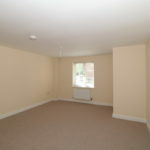 With a private entrance door there is a hallway, open plan lounge and kitchen with built in appliances. 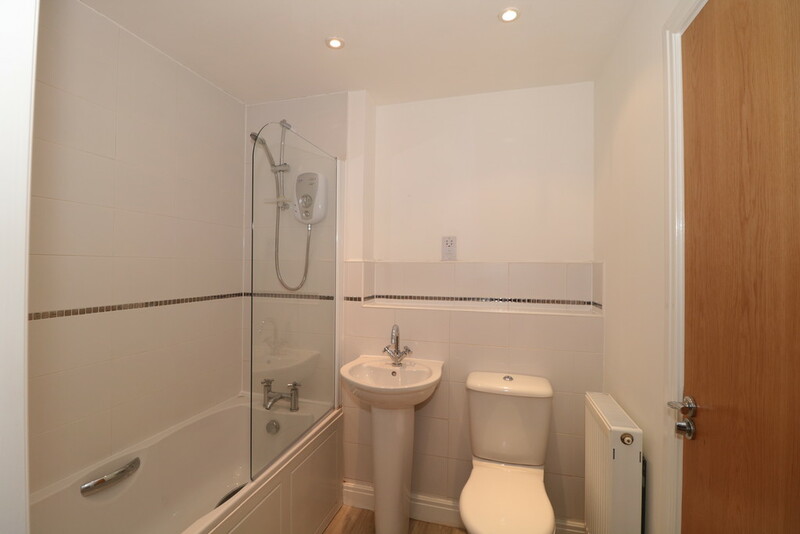 There are two double bedrooms and a Jack and Jill bathroom. 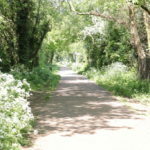 Located on the fringe of Kenilworth.